Emma Hill and Bryan Daste join Alaskan Music Spotlight host Loren Dixon Live on-air. Emma Hill and Her Gentlemen Callers to celebrate the release of Denali at Tap Root on August 16th. Anchorage-based singer/songwriter Emma Hill will perform her new album, Denali, in its entirety on August 16th at Tap Root, supported by a full 7-piece backing band including members of The Whipsaws, Sweating Honey and Ghost Hands. The Alaskan Music Spotlight is heard every Friday 5:35pm - 6:00pm on KNBA Studio interviews with bands promoting upcoming performances. Thanks to Boot and the folks at the Trapper Creek Bluegrass Festival. Thursday April 10, 2014. Emma Hill and Bryan Daste joined us for a Live In-Studio session on KNBA to promote their new material and upcoming shows. We've pasted the recent article from the Anchorage Press. Emma Hill realizes there’s a good thing here. Alaskan Emma Hill returns for the summer to play shows in support of her new Album Meet Me at the Moon. Anchorage, AK – Local singer-songwriter Emma Hill returns for the summer to play shows in support of her new Album Meet Me at the Moon. Emma joined us for several live songs and conversation. Friday June 27, 2014 KNBA featured TWO bands Live In-Studio, The Super Saturated Sugar Strings and Feeding Frenzy. 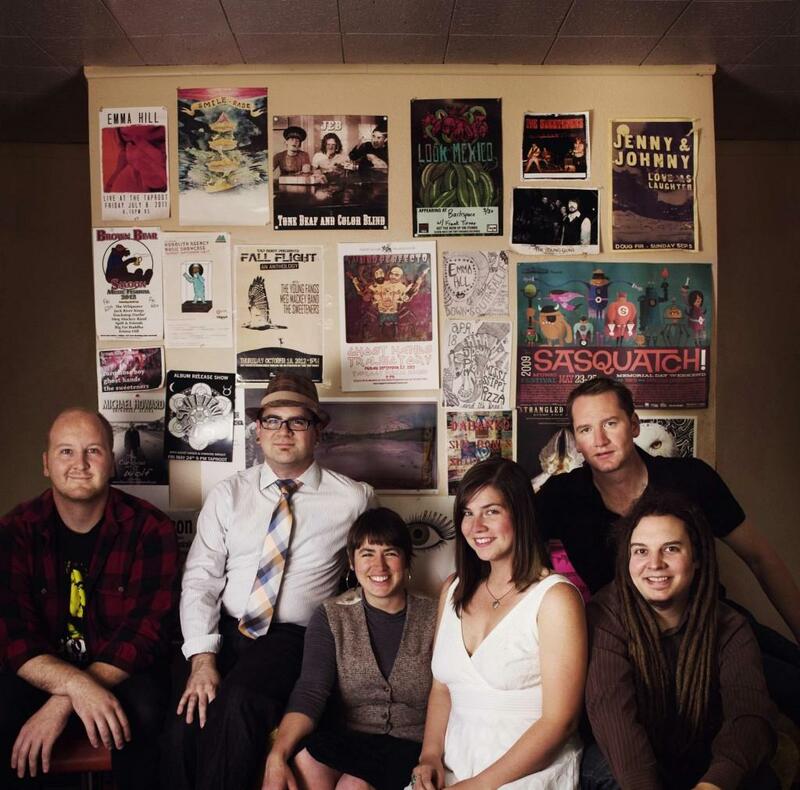 Both groups bring the progressive, yet gritty front porch roots music that Alaskan audiences love. Both bands are celebrating new releases this summer and are very active on the summer and fall tour schedule. Visit their websites and tour calendars! The Alaskan Music Spotlight is heard Fridays at 5:30 pm. The show focuses on local artists and new release's. The Alaskan Music Spotlight, our artists on the Radio! Listen every Friday at 5:35pm for current music from Alaskan artists, calendar listings for live shows and live in-studio performances. December 06, 2013 The Shoot Dangs stopped by with their double banjo attack.